Senior Kaitlyn Minet and junior Kamilah Thomas-Walter in the homecoming parade on Sept. 23 representing the Environmental Club. 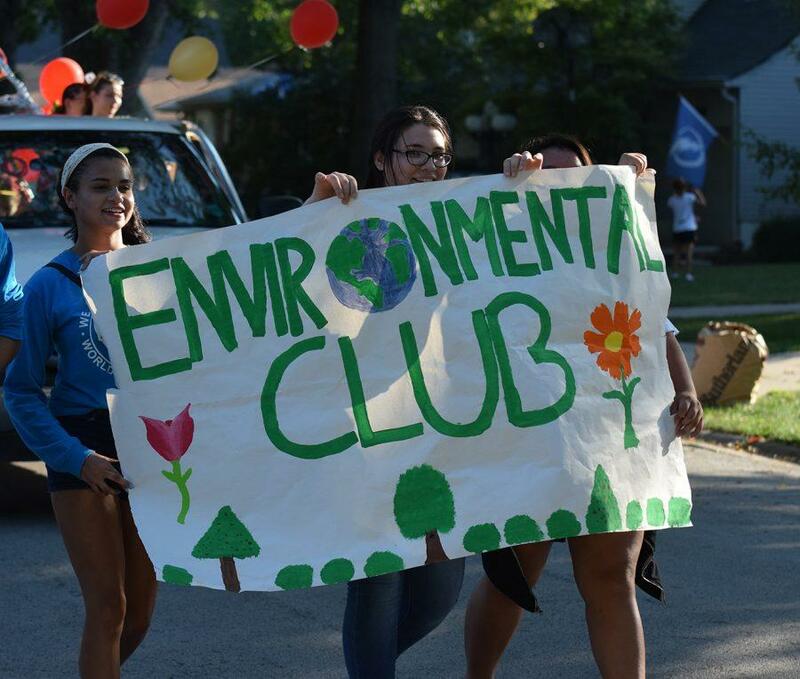 What does Environmental Club do? Environmental Club learns how to prevent air pollution, try to make less waste, plant vegetables and flowers for the annual plant sale and do litter pick ups.